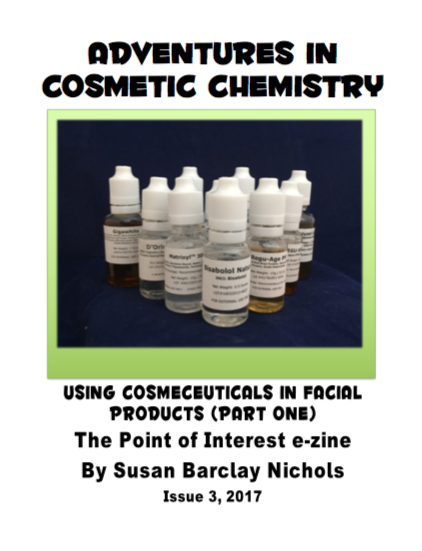 In this issue, I’m taking a look at a variety of ingredients that help with signs of aging, photo-again, acne, and more. 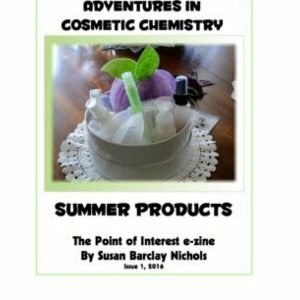 I’ll be sharing information on ingredients that can help with hyperpigmentation and age spots as well as ingredients that might help with the appearance of fine lines and wrinkles. 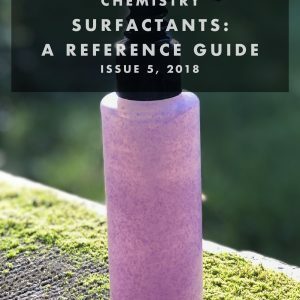 I have included a large section on the chemistry of our skin so you’ll get an understanding of these ingredients work their magic. Highly recommended if you’re into making anti-aging products. 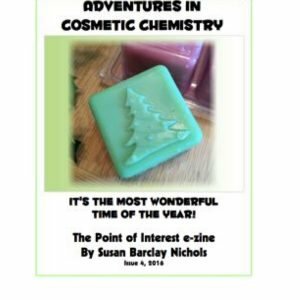 Susan’s in depth info on each ingredient makes this e-zine a must have if you love product making as much as I do. 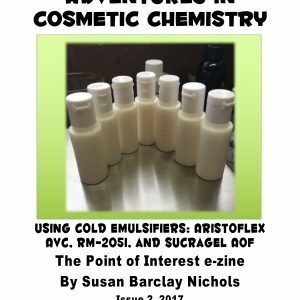 Thank you Susan for yet another wonderful e-zine, I’m so glad u decided to make this available to us. I will soon get the part 2.